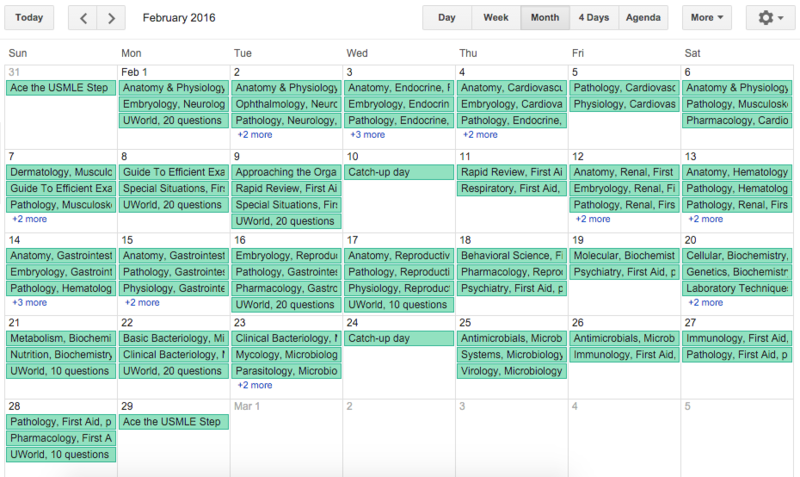 To sync your study plan with your Google calendar, click your name and then Settings. 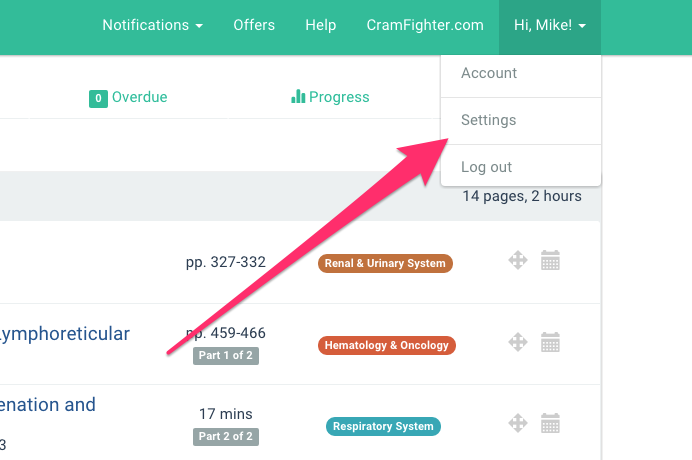 The changes you make to your Cram Fighter study plan will sync to Google Calendar, but not vice versa. If you wish to change the events in Google Calendar, make the changes in Cram Fighter only and then let the syncing process complete. You will always have the option to remove your Cram Fighter schedule from Google calendar by clicking Disconnect on the Settings page. To sync your Cram Fighter schedule to Apple's Calendar app (formerly, iCal), first follow the steps for syncing your schedule to Google Calendar. Then, go to your Calendar Preferences and select Accounts. Be sure to add the gmail account associated with the Google Calendar that has been synced with your Cram Fighter schedule. Your Cram Fighter schedule should now appear as one of your calendars in the right hand column of the Calendar app. If you have your Google calendar synced to Apple Calendar, you may get alerts for each of your events unless you turn off alerts for the calendar. 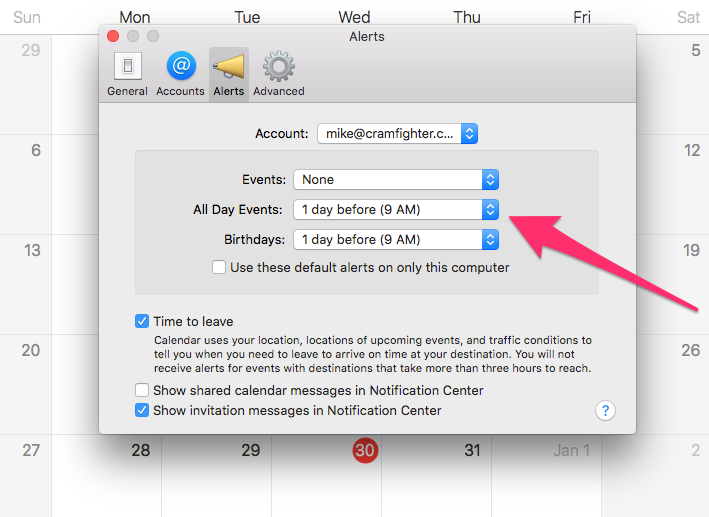 To turn off alerts for events in Apple Calendar, go to Preferences and then Alerts. Find the gmail account associated with your the Google Calendar that is synced to your Cram Fighter schedule. Since Cram Fighter tasks appear as events, change your alerts for All Day Events to None in the drop down menu shown below.